Woman in her 60’s with a prominent lower lid fat “bag” and flat cheek with facial volume loss. 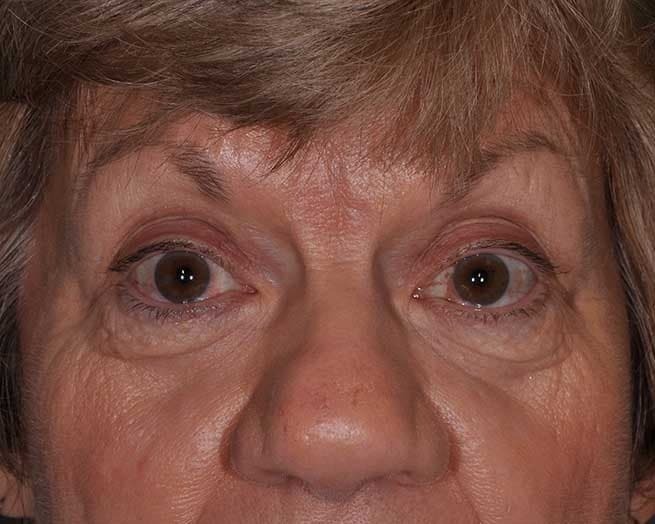 Fat repositioning lower blepharoplasty and laser skin resurfacing was very beneficial. Further facial volumization wtih a synthetic filler such as Restylane and/or her own fat would offer further benefit.